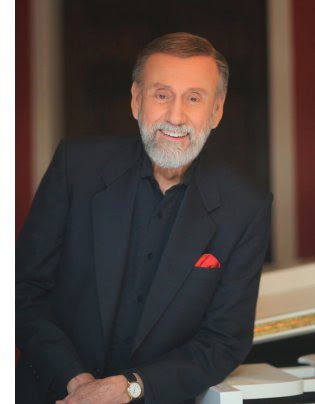 Nashville, Tenn. (November 30, 2016) — Grammy Award-winning country and comedy music legend Ray Stevens will bring his half-hour weekly TV show to Public Television starting January 2017. Initially aired as Ray Stevens Nashville on RFD-TV, the nationally syndicated show has been expanded and will rebrand as Ray Stevens CabaRay Nashville. From the heart of Nashville at the legendary funnyman's Music Row television studio, Ray Stevens CabaRay Nashville spotlights some of pop and country music's most well-known singers and songwriters. Of course, the show wouldn't be complete without performances by the show's iconic host. The show features Stevens, backed by his ace house band, performing many of his classic hit songs including "Gitarzan," "The Streak," "Everything Is Beautiful," "Mississippi Squirrel Revival" and more. There's music, humor and insightful conservation that takes the viewer behind-the-scenes and tells the back stories on the hits as well as the artists and the writers who brought them to us. Plus, there's often a "Video Jukebox" segment featuring Stevens' many comedy video hits. "It's a fast moving and fun-filled musical show that all Public Television viewers will enjoy!" says Stevens. Ray Stevens CabaRay Nashville will air weekly on Public Television affiliate stations starting January 6, 2017. Check local listings for air dates and times.